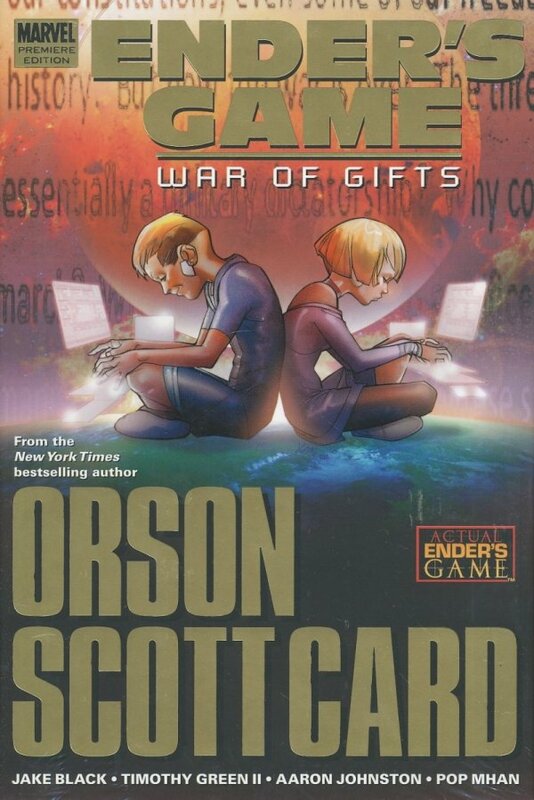 Collects four exciting stories in the Ender's Game universe! First up is a tale starring Ender's two younger siblings. Valentine learns of an injustice in her school, she wants to fight it. Enter Peter who guides his sister through the process of nonviolent influence, and sets the ball rolling for his plans to one day rule the world. Next, in WAR OF GIFTS, Zeck Morgan causes an uproar when he sees another student celebrating Christmas--seemingly violating Battle School's rules against religious practice. Then, Mazer Rackham, the only man ever to defeat the Formics, takes on a new enemy?the International Fleet itself! All this and more!